After nearly three days of anxiously waiting, Andrew Elliott finally saw his name scroll across the bottom of the screen. His dream of being a professional baseball player was now a reality. 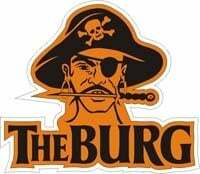 On Wednesday, the Baltimore Orioles drafted the former Wheelersburg Pirate with the 28th pick in the 30th round of the MLB Draft. As the winner of the Horizon League’s Relief Pitcher of the Year award in 2014 and 2015 at Wright State, Elliott figured he would be taken at some point in this season’s draft. But, he didn’t expect to be taken by Baltimore. “It was a surprise, because I hadn’t really talked to Baltimore at all,” he said. Elliot said he had spoken to scouts representing the Red Sox, Reds and Rangers prior to the draft, and expected one of those teams to take him. “I kept looking through those teams and hoped to hear my name. Finally, the Orioles surprised me and it just popped up on the TV,” he said. With Wheelersburg, Elliott was a part of three district championships and two regional championships. The highlight of his career came as a senior in 2010, when he pitched the Pirates all the way to the state championship game. As a shortstop and and pitcher, he earned All-SOC and All-District honors in his junior and senior seasons. After graduating from Wheelersburg, Elliott had a number of Division I offers and chose to attend Wright State. Originally recruited as an infielder, he appeared in nine games as a freshman at either second base or shortstop. It wasn’t until his sophomore season in 2012 that Elliott began to have an impact on the mound. That season, he started seven games and averaged just over 0.5 strikeouts per inning. After redshirting in 2013, Elliott found his niche in the bullpen. As a junior in 2014, he posted a team-low 0.65 ERA in 27 appearances. He also struck out 61 batters in just 41 innings of work. This season, Elliott struck out 56 batters in 48 innings, helping lead the Raiders to a Horizon League Tournament Championship and a spot in the NCAA Regionals. As of press time, Elliott still wasn’t sure where his journey in professional baseball would begin. He’ll likely be placed with the Gulf Coast League Orioles at the rookie level, or will join Baltimore’s class A short-season affiliate in Aberdeen. “I guess the way it works is, they call you in a few days and let you know where you’re playing,” Elliott said. No matter where he ends up, he can say what most people can’t — he’s a professional ball player.